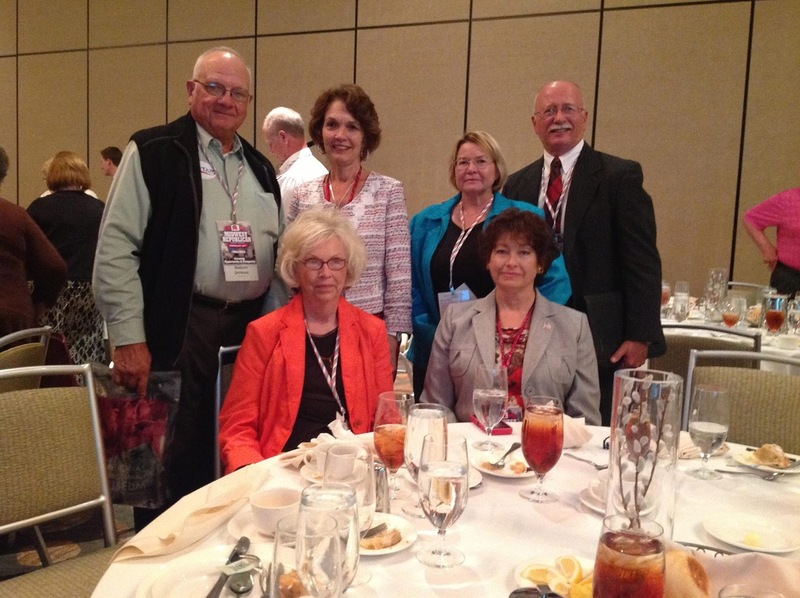 Federated Republican Women Club members Lana Crain, Alice Jarman, Avan Solomon, Doris Strickler, and associate members Bob Jarman and Steve Solomon, attended the Legislative Luncheon at the Midwest Republican Leadership Conference recently in Kansas City. Other FRW members and associate members attending and working at the conference were Representative Glen Kolkmeyer of 53rd District and his Legislative Assistant Brianna Jordan, Ros Hall, and Teri Scott. NOTE: For more stories and photos of Lafayette County Repubicans at the MRLC, visit our Facebook page and scroll through posts.